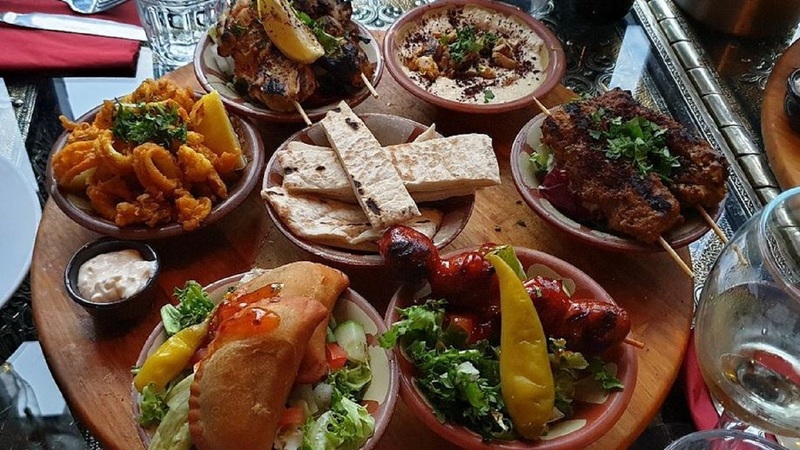 Eat, drink and relax Moroccan style in the heart of Exeter. The head chef has created a thoughtful menu that delights the taste buds. Enjoy hot and cold dishes full of flavour texture and aroma. A firm favourite is the Mezze, an array of small succulent dishes. A choice of traditional Moroccan dessert is on offer to compliment your meal, expect Baklava or Mahalabia (rice pudding with rose water). Delicious! Lunchtimes only (12:30 – 5pm).